With this book Wilfred Thesiger took his place among the few great Arabian travellers – not only as an explorer, but as a writer. 'Arabian Sands' covers the five years ending in 1950 which, with the exception of brief interruptions only, Thesiger spent in and around the Empty Quarter, the half million square miles of one of the cruellest deserts of the world. Before him, no othe trraveller European or Arab – apart from the Bedu who live there – had twice dared to cross those empty wastes. 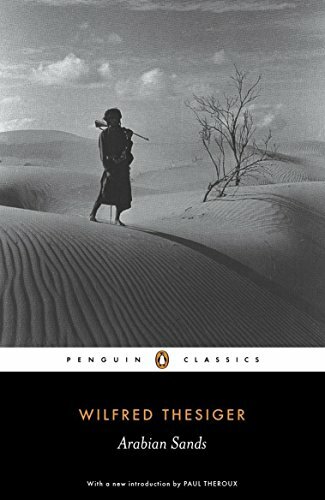 Travelling without European companions and living as an Arab, Thesiger's experience and knowledge of the desert life are unique – and will remain so, for the world he describes has vanished, succumbing to the invasion of technicians in search of oil. Thesiger's account of the Arabian Sands and its people, its tribal warfare and ancient history, its daily life and landscape is widely hailed as a classic of Arabian travel literature.